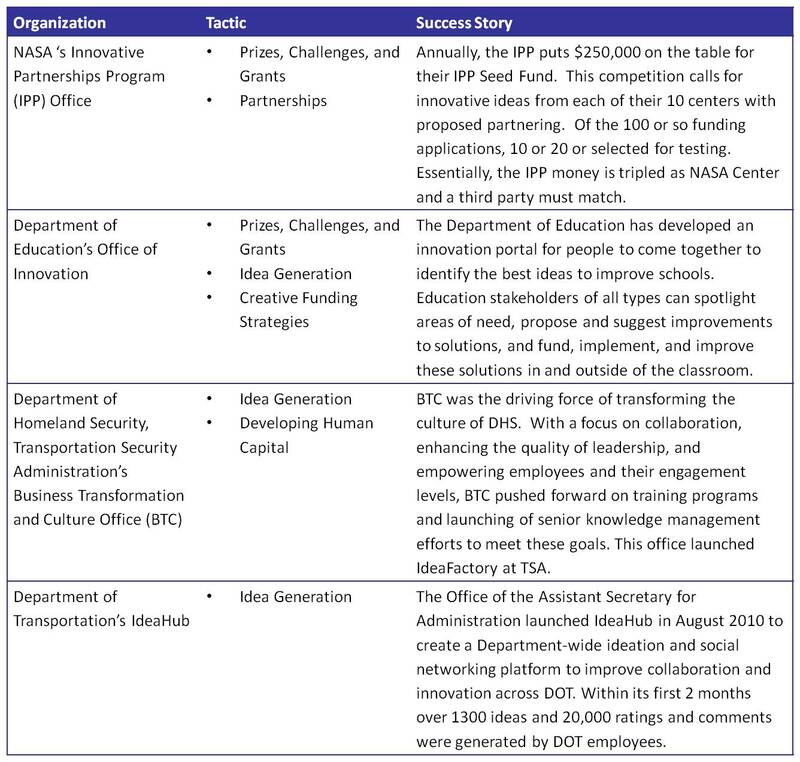 In my introductory posting in the “jennovation” series for Govloop and Phase One Consulting Group’s Transformation in the Federal Sector Blog, I introduced you to an innovative platform known as the Department of Education’s Innovation Portal. This week I want to describe a little more about how that portal, in combination withdata.ed.gov and the i3 Foundation Registry, demonstrates how government 2.0 technologies can help to create secondary markets to fill funding gaps. This is making a bit of a jump from my last posting, where I focused on Public Private Partnerships (PPPs) in infrastructure development. However, both examples, whether it be building a road through a PPP or funding innovative education solutions, demonstrate how in many instances private capital must supplement federal funding to solve the grand challenges of our time. improve teacher and school leader effectiveness. Data Visualization: The data.ed.gov portal visualizes important information about the grant applications (no awards have been made yet): location of applications, amount requested, summaries of the projects, and the ability to filter by priority area and project type (development, validation and scale-up). This is a relatively novel way of displaying pre-award grant information. Currently USASpending and theFederal Assistance Award Data System display award information but not pre-award information. Why is this important? It’s hard for us to do the research to know who applied for funds but didn’t receive them in a systemic way. Data.ed.gov allows the public to understand trends in applications for federal funds, not just the awards,and thus get a better view at the demand for federal funds in this issue area. Ideation and Challenges: The open innovation portal provides a second crucial functionality to education’s innovation agenda. This portal allows anyone to post challenges on education issues (once they are moderated). In addition, this portal acts as a gathering place for the education community to submit ideas about how to improve our nation’s education system. This platform will plug intowww.challenges.gov once that new government-wide challenges portal is launched in August. This portal allows new issue areas to be identified and collaborated on in a transparent fashion. Secondary Market for Education Solutions: The i3 Foundation Registry, in my mind, is the REALLY cool part of this innovation triad. Typically grant programs receive applications, review and score those applications, and then award funds based on the scoring of the applications and the total amount of funding available. There are usually quite a few applications that score relatively well but can’t be funded due to insufficient funds. It’s not a revolutionary concept that federal funds are often not able to meet the demand for funding in many fields. What makes the foundation registry so cool is that it allows foundations that would be likely to fund innovative solutions in this issue area to find grant applications that weren’t successful in receiving federal funds. This site creates a secondary market for innovative education solutions. Kiva created a way for lenders to find projects they’d be likely to fund through the power of the internet. The i3 foundation registry has done something very similar, albeit for projects that require much more funding. By displaying the grant applications that could not be funded, foundations that would be likely to fund these types of projects are able to find possible investment opportunities.Partnerships will be possible that would likely never have been possible before. Foundations are able to identify projects that might not have been on their radar before. 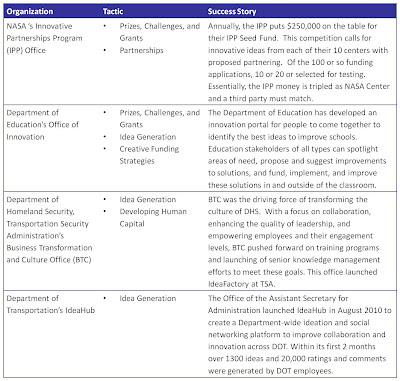 The i3 grant program is a pilot in innovative and open grant making—sharing more information throughout the grant process to leverage secondary markets to fill the funding gap between the federal supply of funds and the demand for funding. The challenge in many of these problem areas however is who would constitute to secondary market. At least in transportation, many of the interested parties would largely be for-profit entities, not non-profit foundations like in education. So I turn the question around on you: In what other major issue areas for the U.S. government could open grant making principles be leveraged? What would the challenges be? Where could possible funders be better connected with those innovative solution providers out there? As always, please feel free to reach out at any time during this series to continue to conversation. Welcome to the first posting of the Jennovation blog series! 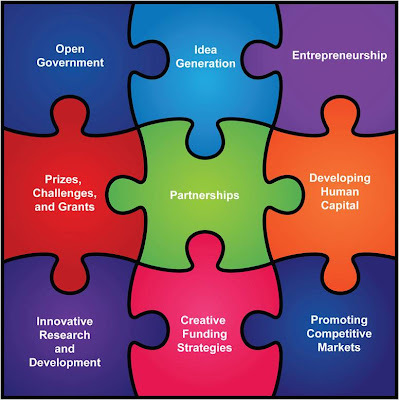 As a featured blogger on Govloop, I will be posting every other Monday, beginning June 14, 2010, about my musings on innovation, Open Government (Open Gov) and Public-Private Partnerships (PPPs). But how to these three—seemingly loosely connected subject areas—relate enough to justify being lumped together? 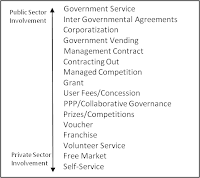 In my opinion, innovation, Open Gov and PPPs are some of the most effective means for the Government to maximize the public value it provides. Rate solutions and fellow members (think Amazon or eBay). Connect with other members (think Facebook or LinkedIn). Post classifieds to seek or offer services (think Craigslist). Earn points for participating (think loyalty programs). How does it encourage and leverage PPPs? The Open Innovation Portal allows PPPs to assemble based on common ideas and needs to provide value to the education community. Through the ideation functionality, the best ideas float to the top, where they attract the attention of other innovators, potential funders, or contributors of in-kind resources. Stimulate conversation by identifying hard situations/questions and providing an opportunity for crowd sourced solutions. Also, as an innovation and Open Gov advocate, I believe in the value of ideation for identifying problems, issue areas and topics that might not be on my radar—but are on yours! In the spirit of acknowledging what I don’t know, I’d also like to ask you, the reader, to feel free to reach out to me, at any time during this series, and request a blog posting on a specific topic in these subject areas. I’ll do my best to work with you to identify interesting spins on the topic, research the topic fully, and share our collective thoughts in this series—even co-author if you’d like. To make this series as rich as possible, I’m committed to adhering to the principles of transparency, participation and collaboration in its creation. To kick-off the series, I’ll ask a simple question: How do YOU define Innovation, Open Government and Public Private Partnerships? 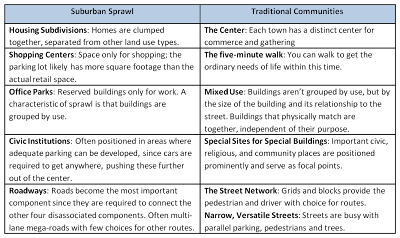 For this series, I am starting with the following definitions/scope. What do you think? 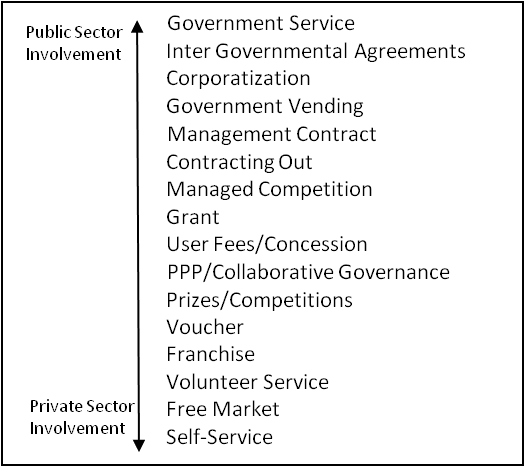 The goal of this blog series is to demonstrate how these methods can be used in combination to maximize the value that the Government provides to the citizen. Looking forward to discussing these exciting subjects with you! This isn’t a revolutionary concept in itself, but it does shed a different light on the types of initiatives that have largely been pursued in the spirit of openness. Even though the rhetoric in the Open Government community has been increasingly about tying new initiatives to strategic goals, much of the action has demonstrated a “if you build it, they will come” mentality. Often the things that are easy to do in transparency, participation and collaboration aren’t those things that have a discrete tie to the mission of the organization: standing up a twitter account, starting a blog, creating an iphone app, opening up ideation tools, etc… I’m not saying that these activities can’t be incredibly valuable, if done right. However, there are countless examples of services, products, and programs that demonstrate “what we CAN do” and not “what we SHOULD do”. “What we should do” must be strategic, and provide value both for the provider (government) and the consumer (the public, stakeholder groups, academia, industry, etc…). People will only participate and collaborate if they can get something discrete and valuable out of the experience. Gwynne’s statement made me think that a large part of what we “should do” is not wholly reinvent the process for identifying how to effectively partner to solve business problems. Individuals and groups have been partnering forever to solve problems. Gov 2.0 just gives us some new methods for partnering that are more mobile, real-time and individualized. “First, what is the important “public value (PV)” the organization is seeking to produce? Second, what are the “sources of legitimacy and support (L&S)” that would be relied upon to authorize the organization to take action and provide the resources necessary to sustain the effort to create the value? Furthermore, PV, L&S and OC can be provided in various degrees by multiple people or groups. This is where partnership comes in. For example, if the OC is fully provided by the private sector, the partnership may likely be a contracting arrangement. These are the SAME questions that we must ask when designing participation and collaboration initiatives through the Open Government Initiatives. But how is partnership in this sense selfish? It’s in its very definition. Without public value—the “so what” for the consumer—the action doesn’t have enough legs to stand on. Open Government planning is about more than tools and technology. It is about the “trinity” of Technology, Policy and Culture. Developing and using a comprehensive Open Government framework is possible and it can help you stay on track throughout the program lifecycle. Engaging an interdisciplinary leadership and planning team from the beginning is crucial to tap into tacit knowledge and mitigate risks. We hope that this framework will serve as the starting point for an Open Government best practice methodology (similar to FSAM), developed through a multi-agency effort. How should I approach managing the change required for a more Open Government? Bottom line, the Open Gov initiative represents a shift in the way we engage with the public and innovate. This is change management…on steroids. And how do you traditionally manage change and business transformation? Through a pretty basic lifecycle management approach; assess, plan, implement, measure, and improve. But how do you assess your current state? How do you plan for your desired state? That’s where the “wheel” you see on the graphic below comes in. The wheel acknowledges that the technology, policy and culture components at your organization are all critical to understand before moving into planning. Some people see these areas as hurdles they must overcome, and others see them as resources. We see them each as unique and crucial areas for transformation throughout the Open Gov lifecycle. For technology, we suggest the critical areas include security, infrastructure, tools and current pilots and programs. For policy we suggest the areas are strategic planning, performance, legal and internal directives. And finally for culture we suggest the critical areas are employee readiness, communication channels, agency stakeholders, and those areas where the agency is already participating with the public, albeit not through Gov 2.0 tools. 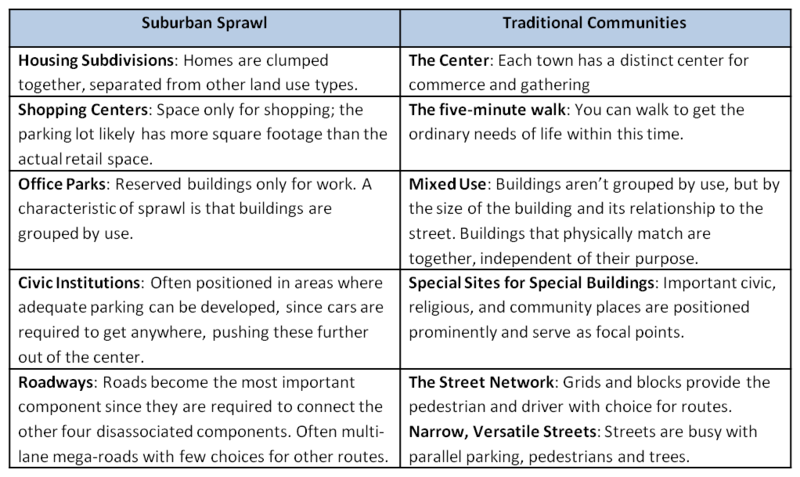 We will be releasing another blog series soon that will run through each of these areas in detail. Note that each critical area and the corresponding activities in the five lifecycle phases can be thought of as a “cake slice”. There are distinct activities associated with the assess, plan, implement, measure, and improve phases of the each of the key areas that the appropriate office should be heavily involved in. Who should be involved in Open Gov strategy and planning at your organization? On the framework graphic, there is a grey ring around the color wheel that contains various offices within the organization. This ring highlights what office tends to be the subject matter expert in each of these crucial areas. 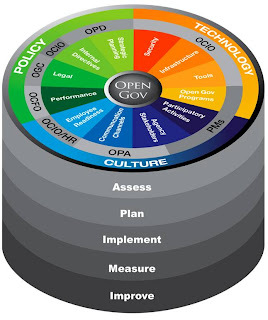 Walking around the circle, this framework shows that the chief information officer, project managers for key mission areas, public affairs, human resources, chief financial officer, general counsel, and policy development offices should all be engaged in the leadership and planning of an Open Gov effort. If you want more detail about what each of these offices tend to care about in the Open Gov space, check out the “Open Gov leadership team” blog series we released in October. Bottom line: It’s important to involve folks from each of these critical areas at the beginning of the effort in order to tap into their tacit knowledge and ensure downstream challenges are mitigated. Open Government strategy and planning is not about picking one tool and running with it. It is about fundamentally changing the way the Federal government interacts with citizens and its employees to reduce costs, improve decision making, mitigate risks, and stimulate innovation. That is a huge endeavor but this framework organizes the chaos and may enable you to more effectively tie agency strategic goals and performance targets to Open Government transformation efforts.